Seeing a— the— room full of Bruegels, I was struck by a further and more particular formal sameness, evident in many, though not all of the works: the curving, centripetal movement. 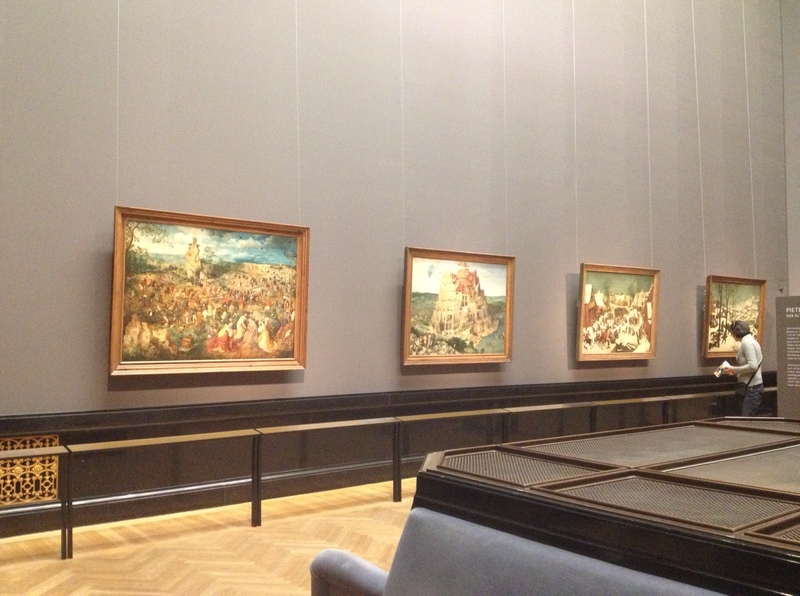 Still more specific: the composition of each the first three paintings on that long wall, Conversion, Procession, and Tower, swirls around a peak, a central prominence. Like the elevated point of view, this recurrent feature prompts questions. Is the strong and outstanding center merely a convenient balance to that centripetal movement? Perhaps— even likely— but it’s absent in other works, including all of the “Seasons” paintings, that are also organized around this same movement2. Does it mean something? Sure, in some cases, at least: e.g., the height of the Tower of Babel equals the pride of Nimrod. But— if a tower can as easily be a mountain or a windmill, can we conjecture that the true import, if any, might reside in the form rather than the subject matter? Or, maybe underlying all these questions and perhaps most compelling: how does one become interested in a formal arrangement? And, when repeated, returned to (like a place), it becomes stronger than “an interest”: it’s an attachment, a connection. 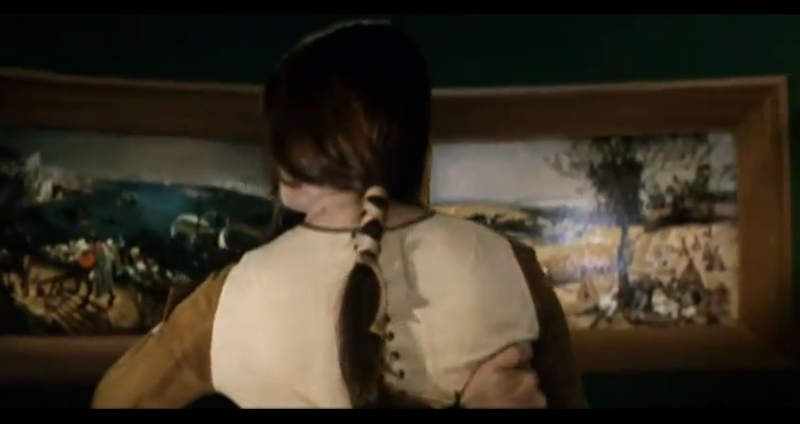 In Andrei Tarkovsky’s Solaris, five prints of Bruegel paintings hang in a curved room on a space station (Hunters in the Snow receives particular attention). Tarkovsky, like Bruegel (or any artist whose work is recognizable), favors certain formal strategies: the slowly curious camera that pans to reveal a new scene; the subtle, inch-by-inch zoom. 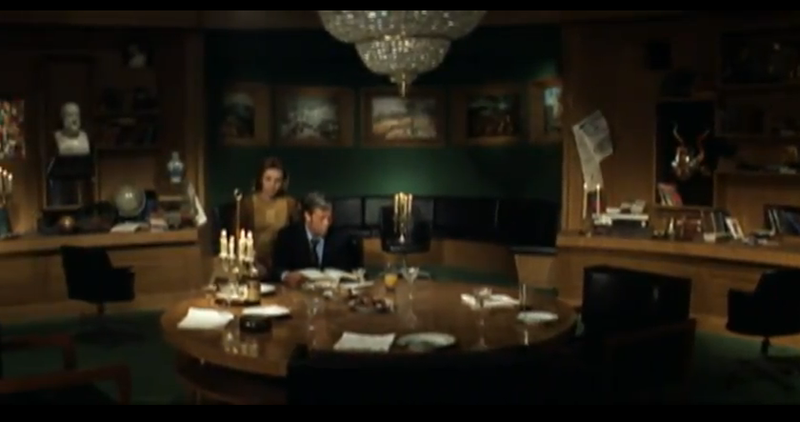 For me, though, quintessential Tarkovsky is defined more by subject matter. It’s riparian: moving water, spirals of submerged grass, tumbled pebbles and overhanging sedge; at the bottom of a nearby pool, some inevitable castoffs: the stem of a wine glass, a few coins. In graduate school, I heard a professor, Martha Macleish, describe the inverse relationship between Bruegel’s Tower of Babel and the pit dug for the casting of the bell in Andrei Rublev. Extending a pit in space creates a channel. A trickle of water enters the channel. We follow the trickle down and around. We look up; our eyes re-focus to take in the surrounding landscape. We see how the channel sweeps left, away, before, more distantly, veering back. We notice people, here and there. We raise our gaze even higher as we look further out . . .
1Wikipedia tells us that forty-five “authenticated” paintings survive, although the article “List of paintings by Pieter Bruegel the Elder” lists, by my count, 50 works. 2Landscape With The Fall of Icarus is an interesting case. The rows being tilled by the foreground plowman plainly inscribe the same sort centripetal movement, but at the center is a depression, the ocean. Still, we know the painting’s title, accept the Where’s Waldo-like challenge, and (eventually) see Icarus’s flailing legs. Like the shepherd in the middle-ground, we imagine his descent. The invisible trajectory of his fall becomes the circus-tent-pole support of this composition.